Fendrick and Peck’s offering of instrumental work, peacefulness, versatile lyrics and shoots of energy make for an utterly soothing, yet wild and soaring ride. Fendrick & Peck are their own variety show...blues, bluegrass, sing alongs, Americana, ballads, 90s rock songs chilled out, poetry, bird song.... You never know what you’re gonna hear, but it’ll be good. Their music is noted for its exquisite harmony, lyrics, and composition, but that doesn’t keep them from a certain raw imperfection that helps you feel at ease in the world for a little while. They share their time and energy in the hope that you too will be inspired to connect with your true North and those around you. Come on along and learn to sing your song. 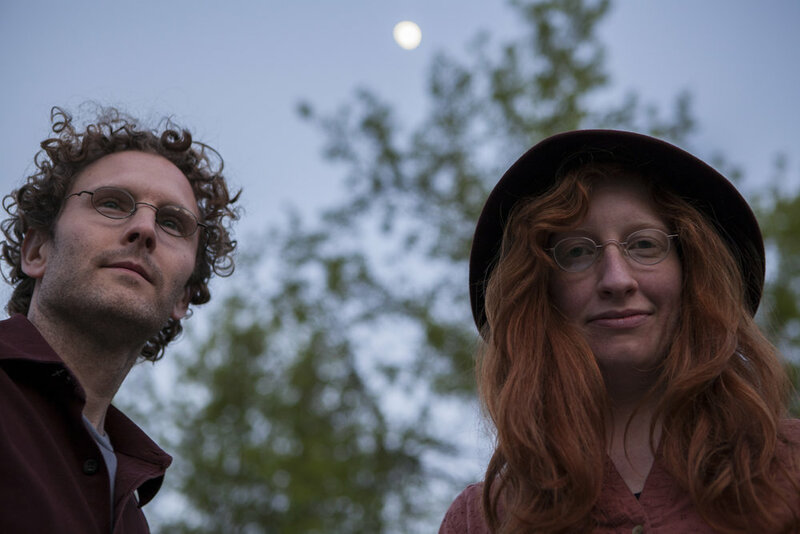 Fendrick & Peck are a hard traveling duo who tour the East Coast twice per year, play locally in the Midwest (they are from WI), and chill in the woods and wilds as they craft, connect, and work on new material. Their performances are constantly evolving, but it’s not uncommon to find them sharing the stage with vintage instruments such as 1920s guitar, mandolin, and tenor banjo, an older fiddle fiddle, or even a 1972 Telecaster! Madeline and Brian’s music gathers in many genres including folk, blues, light rock, and bluegrass with a freshness and originality that centers on exquisite harmony, lyric writing, groove, and heart. Brian’s instrumental work and peaceful presence and Madeline’s versatile vocals and tremendous energy pair for an utterly wild and soaring ride. Together, they balance each other marvelously and their harmonies and devotion to each other and the music are unlike any you’ve ever heard or seen. Fendrick & Peck have three full length albums: Make Your Way Out/Make Your Way In and The Sandhill Crane (both produced by Timothy Frantzich in Minneapolis), and Lucky Penny, recorded by legendary Nashville recording engineer/producer Bil Vorndick. You can find them sharing their music in venues from Opera Houses to Living Rooms, Festivals, Conferences, and Libraries. They have received praise from heavy hitters such as DJ Rich Warren (of Chicago’s the Midnight Special: CD of the week in 2016/2017) and been hailed as the “future of folk music” by DJ Queen of Washington D.C. Mary Cliff.